For Illinois transmission line construction solutions! Illinois, known for its extensive agricultural and manufacturing industries, ranks fifth among states in electricity production, and is a leading producer of coal, ranking third in recoverable coal reserves, most which is mined in the Powder River Basin of Wyoming. Also, Illinois is a leading Midwest refiner of petroleum with a combined crude oil distillation capacity of nearly 900,000 barrels per day. The state is also home to the Chicago Pile-1, the world's first artificial self-sustaining nuclear chain reaction in the world's first nuclear reactor, built on the University of Chicago campus. Illinois ranks ninth among US states in installed wind power capacity, and second in corn production, which is used to supply 40% of the ethanol consumed in the US. The University of Illinois at Urbana–Champaign is a partner of the Energy Biosciences Institute (EBI), a $500 million biofuels research project funded by British Petroleum. To book expert Illinois transmission line construction services! FairLifts, a international leader in arranging transmission line construction services, works with a comprehensive network of experienced operators to provide expert transmission line construction solutions to industries in Illinois. Also, FairLifts ensures numerous other services, including work crew and equipment transport to offshore or remote sites, as well as heavy lifts for hardware and machinery. FairLifts arranges heavy lift aircraft with lift capacity of up to 9,000 lbs, amply sufficient lift requirements for all types of construction projects or lift operations. Ensuring maximum safety standards and cost-efficient solutions, we meet the strictest project deadlines. Lift services range from light to heavy and aerial crane services for the transport and placement of weighty elements with reduced environmental impact. FairLifts arranges wire stringing services and the installation of primary conductors onto the transmission line structures, including the installation of conductors, ground wire, insulators, stringing sheaves, rollers or travelers, vibration dampeners, weights, suspension and dead-end hardware assemblies for the complete extension of the project. FairLifts supplies expert utility pole installation, permitting crews to gain access to hard to reach terrains with minimal environmental impact. 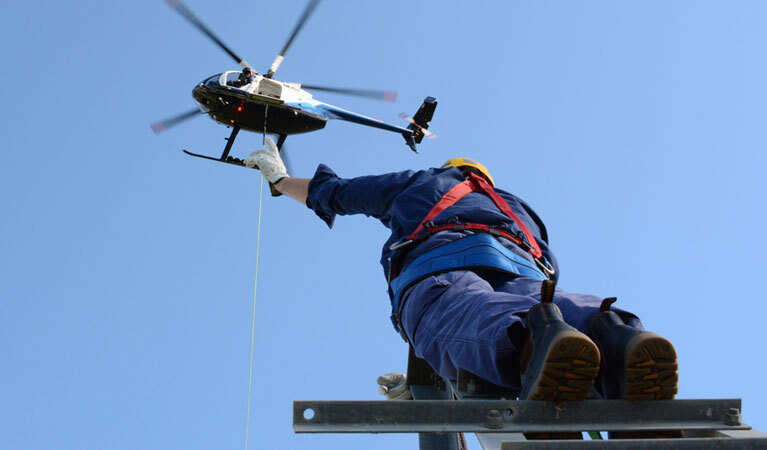 Composite poles have a greater strength/weight ratio than traditional wood poles, therefore, helicopter lifts provide the strength required to install poles in remote areas. FairLifts schedules ROW and site inspection of power transmission lines through infrared thermographic inspection of power lines, which pinpoint transmission line inconsistencies efficiently and affordably. Additional inspection services include corona measurement with new generation technology to spot corona interference in high-voltage transmission lines. At FairLifts, we provide transmission line construction solutions in Illinois. 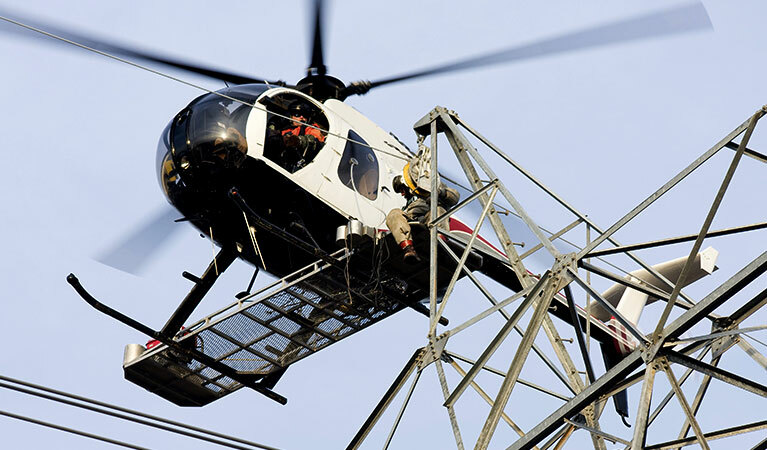 FaiLifts service agents provide assistance 24/7 to facilitate an array of Illinois transmission line construction solutions. An international network of affiliates guarantees reliable, safe and cost-effective service solutions for all transmission line construction needs, and ensures time-sensitive services.